Dave Green, president of the UAW Local 1112, representing the Lordstown General Motors assembly plant, poses for a portrait at his desk on Wednesday, March 20, 2019. 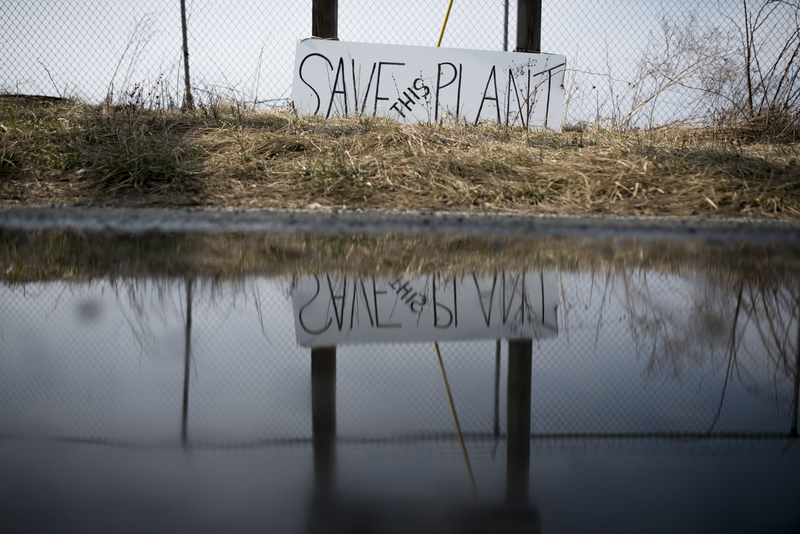 A sign reading “Save This Plant” is reflected in a puddle outside of the Lordstown GM plant on Wednesday, March 20, 2019. The biggest challenge facing Lordstown has been a shrinking market for small cars. The compact Cruze did well during the recession and when gas prices were skyrocketing. But sales have been trending down. On Nov. 9, 2016 — the day after Trump was elected with help from voters in Lordstown’s Trumbull County, which went Republican for the first time since 1972 — GM announced it was eliminating a shift at the plant. Union officials viewed the move ominously, even after Trump campaigned in places like Youngstown on a promise to jumpstart the manufacturing economy in the industrial Midwest. 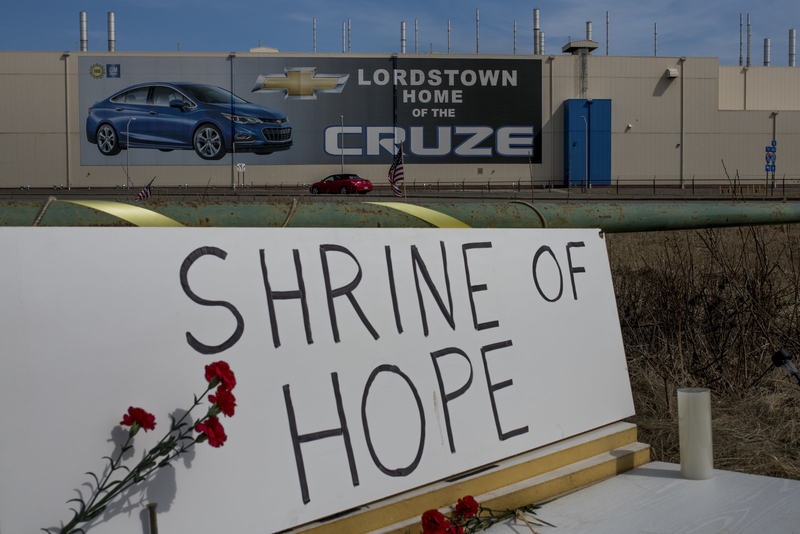 A makeshift shrine sits outside of the Lordstown GM plant on Wednesday March 20, 2019.